Not too long ago, in a craft beer store not too far away, I strolled up and down the aisles meticulously forging a create-your-own-six-pack. There I was, testing the patience of my wife as I checked, then double checked, and maybe even triple checked the shelves making sure that I had selected the perfect constellation of craft beers to take home and indulge. 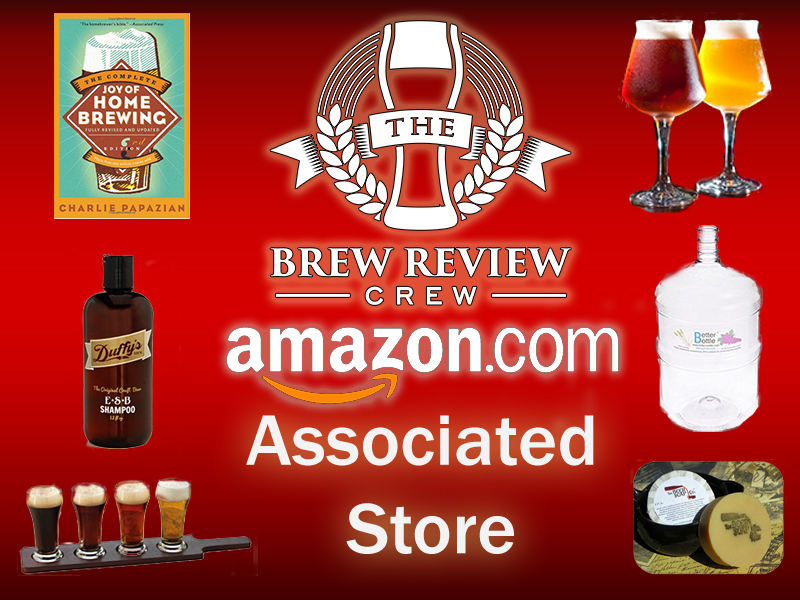 I moved towards the checkout and placed my bottles on the counter when my wife, studying my selections observed something that I had not even realized; I had selected six different IPAs. Now, that is fairly innocuous as millions of craft beer drinkers create similar IPA-filled six packs regularly; however, she made a poignant point; “You used to HATE IPAs and now you’re getting six of them!?”. The simple observation put my mind into a reflective moment. 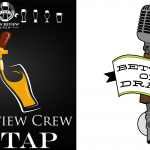 It dawned on me that my taste preferences for craft beer have evolved pretty significantly over the past few years, and I wondered if the same held true for other craft beer lovers. You used to HATE IPAs and now you’re getting six of them!? Now, before we take a look at the responses and the data; I want to preface this with the disclaimer that I know this is not a perfect survey. I am sure I overlooked styles, particular questions, etc. 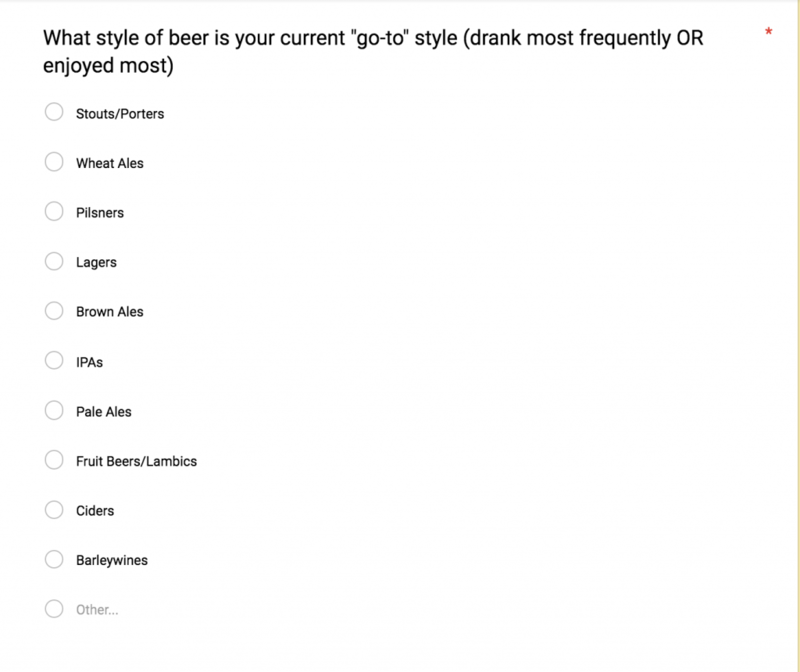 This survey was not meant to be a scientific-level study; but rather an informal questionnaire to develop a sense as to whether or not there were major trends in the changes of drinkers over time. 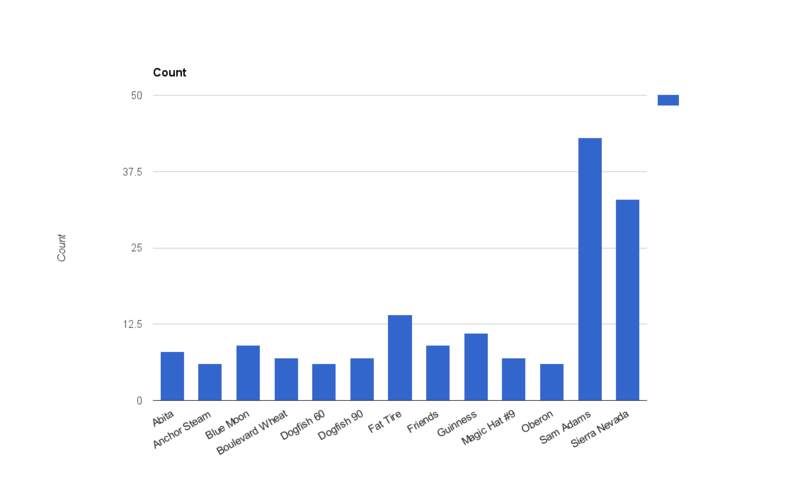 As the data began to pour in (no pun intended; well, maybe a little pun), I began to look at my own preferences over time. As you read on, before you see the data, I’d ask if your experience is similar to mine. My journey into craft beer began, as I would assume, the same as about 85% or more of craft beer drinkers; Macro, adjunct lagers. 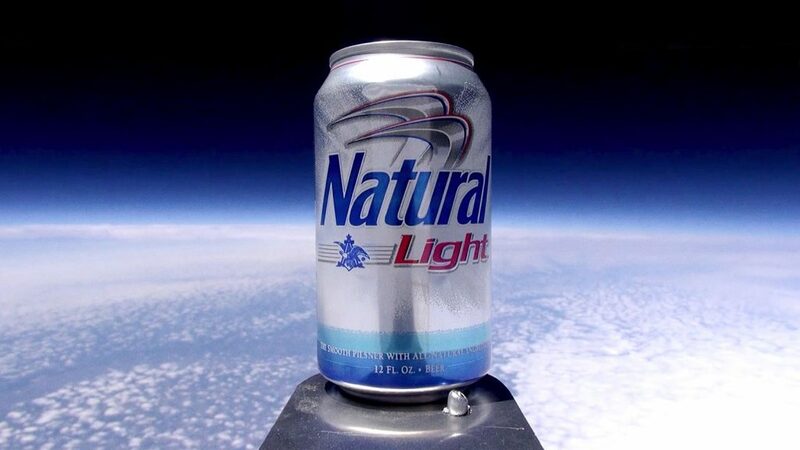 My drink of choice as a young collegiate gentleman was the timeless Natural Light. Not to say that Natural Light is in any way craft beer, but it was my first true beer drinking experience. 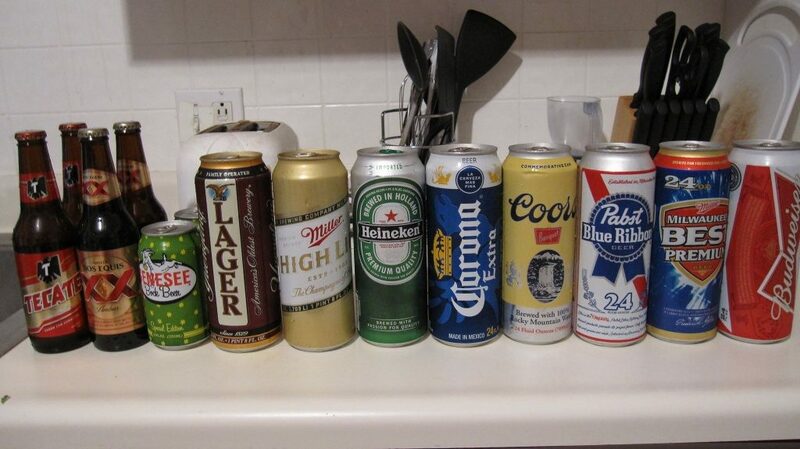 My buddies and I were not drinking Natural Light for the crisp, flavorful experience; but rather for the insanely inexpensive price point and its proven track record for getting us inebriated on a budget. My guess is that most craft beer lovers began their journey with a beer similar to Natural Light. The Familiar Faces. Do any of these mark your beginning into craft beer? When I graduated undergrad, and entered into graduate school, my colleagues and I would go to the famous Little Bar in Columbus, Ohio to relax after a grueling student-teaching and class schedule. These cohort cohesions as we would dub them served as my entryway into craft beer. The beer of choice on these evenings was Blue Moon (which I still enjoy a great deal). For me, Blue Moon was my gateway drug into experimenting with other craft (crafty) beers. Blue Moon, a wheat ale, was so full of delicious flavor that I knew I had to try other beers within that same style. I will never knock Blue Moon and encourage others to respect what Blue Moon has brought to the craft beer table. 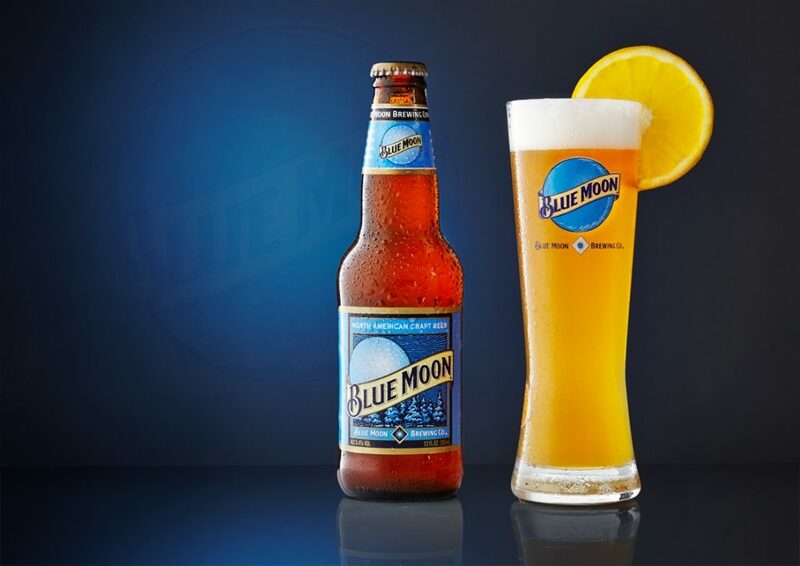 Blue Moon; The gateway drug of craft beer. It was shortly after this that my future father-in-law, in hopes of aiding my exploration of the world of craft beer, gifted me a microbrew set from a brewery called Samuel Smiths. Perhaps you’ve seen these packs. They come stocked with three of four different offerings and typically a branded pint glass. This kit changed everything for me. I remember hating 3/4 of the offerings, but the Oatmeal Stout blew my mind. It totally changed my idea of what beer could/should be and thus kicked off the love affair I had with dark beers. 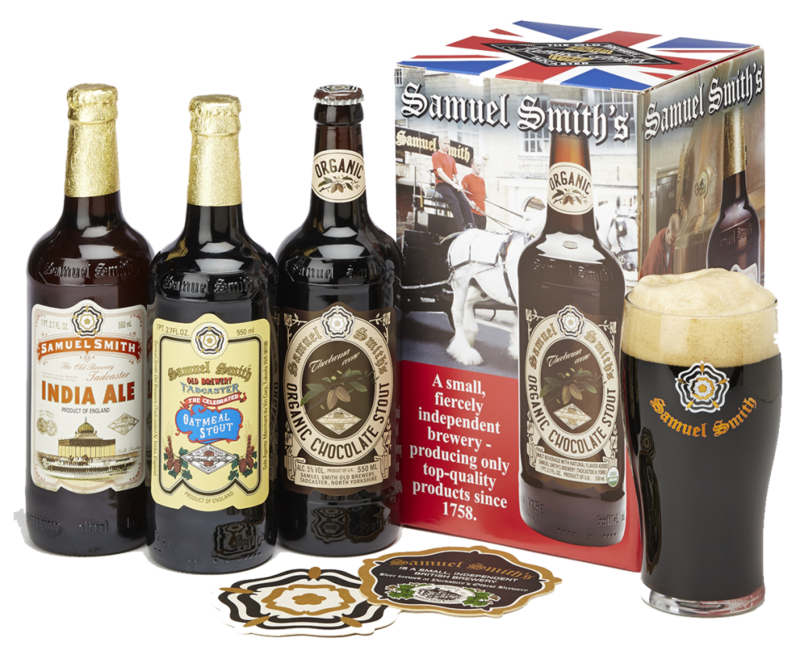 The Samuel Smith Pack That Changed My Drinking Life. 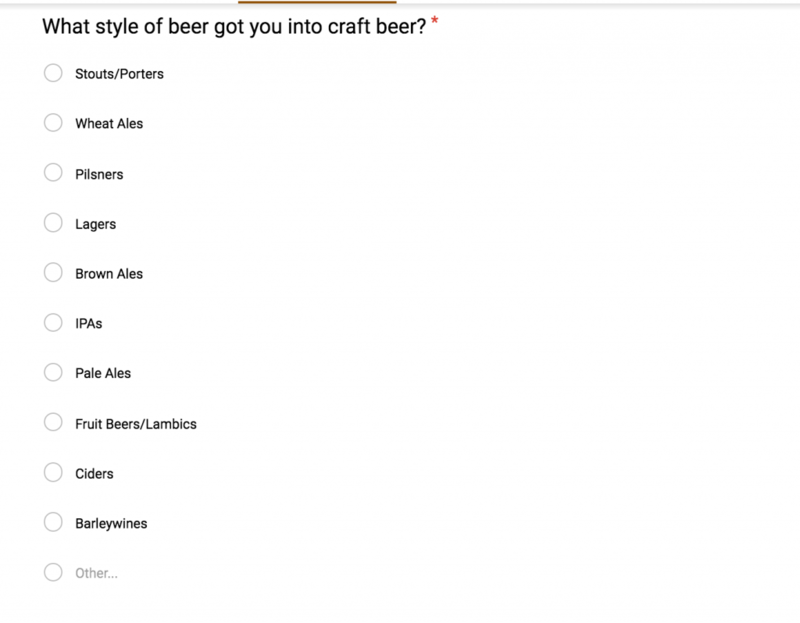 I began to really reflect on my purchase and taste preferences in craft beer over the past three years, and I decided to peruse my Untapped profile to see if there were any major, overarching trends in my craft beer preferences. There were. I began really diving into craft beer with porters and stouts; experimenting with all of the varieties those styles can bring. I then began transitioning to bigger, more bold and intense flavors such as pale ales and IPAs. As I write this article now; however, my preferences seem to be changing (regressing?) yet again. I am starting to enjoy more dialed back styles such as pilsners and wheat ales again! 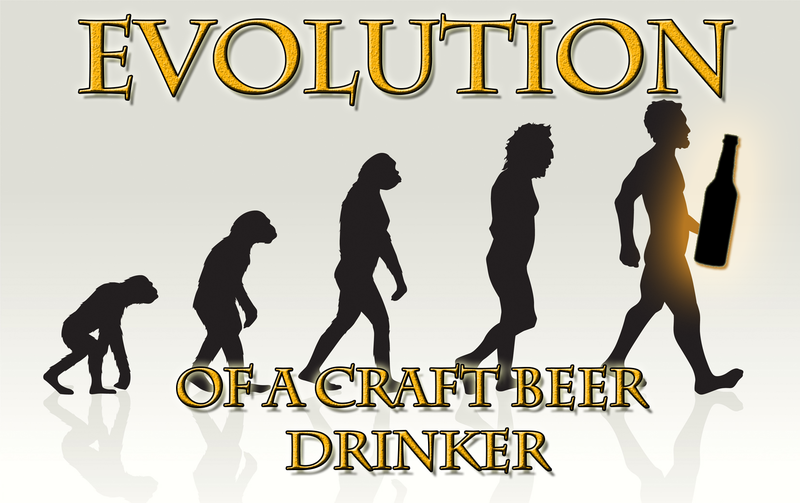 I have really enjoyed the time pondering my own evolutions as a craft beer drinker and was very excited to see how other craft beer drinkers have progressed through their time exploring the world of craft beer. With all of that being said, let’s take a look at the results. The first thing that really shocked me is just how long you folks have been drinking craft beer! 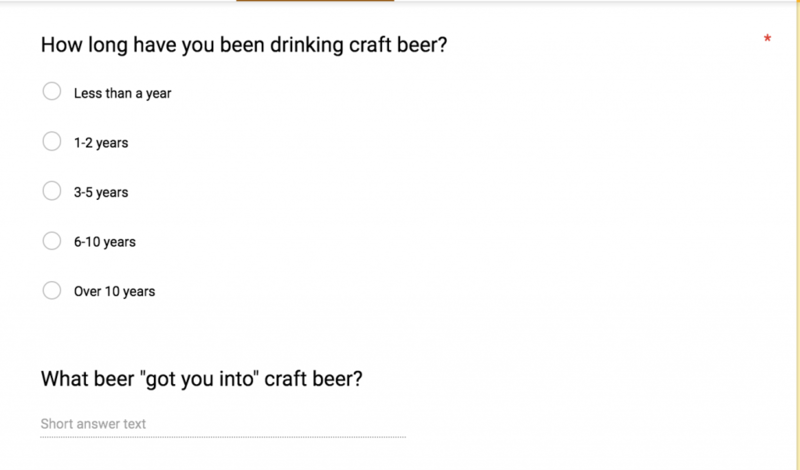 Truthfully, I have really only been into craft beer for about 3 or 4 years, but I was excited to see that my survey would have a wide spectrum of “seasoned veterans”. The results on this question really surprised me. 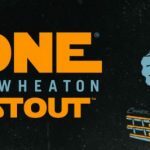 IPAs are so, so popular right now, and they have been the dominating style for some time now; however, IPAs are not what I would consider “gateway” beers into craft beer. 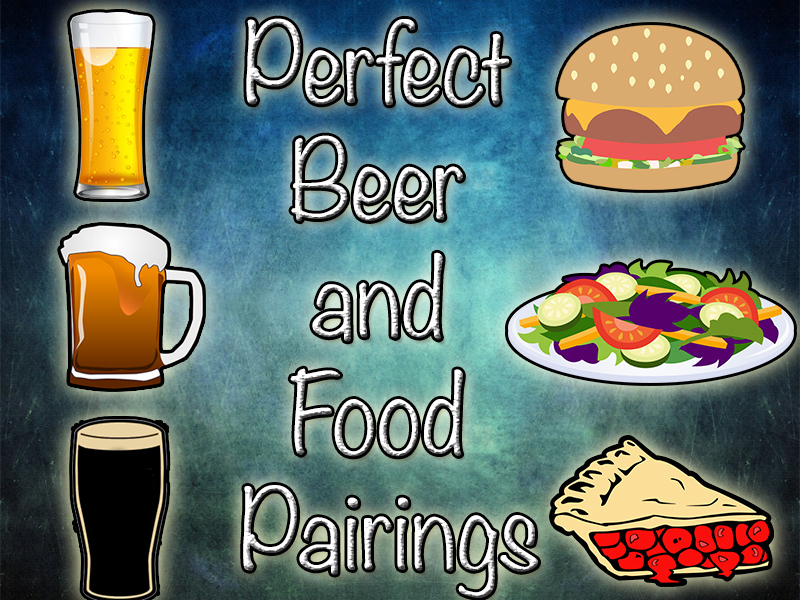 IPAs are divisive, intense and sensory overload for a lot of drinkers when first venturing into craft beer. 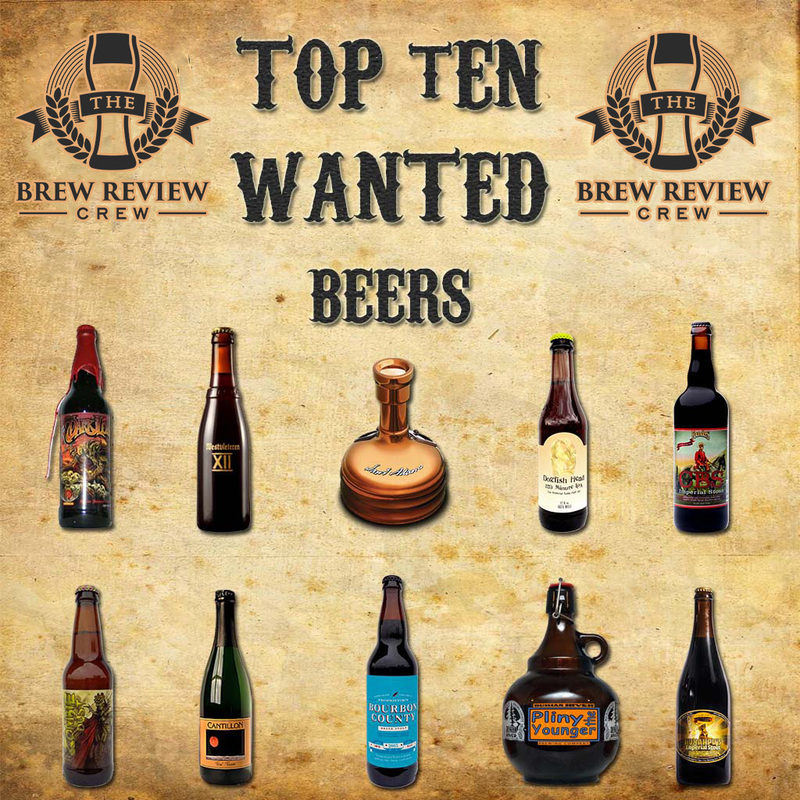 For IPAs and Pale Ales to be among the top answers really caught me off guard and certainly was not the case in my craft beer journey. The reality is that the results are pretty spread out, and that any one beer can send people into a love affair with craft beer. It’s a testament to the theory that if you think you “don’t like beer”, you might have just not found the style you prefer. This is not too shocking a result. IPAs are King in American craft beer and breweries are doing everything under the sun to make unique offerings to meet this demand. 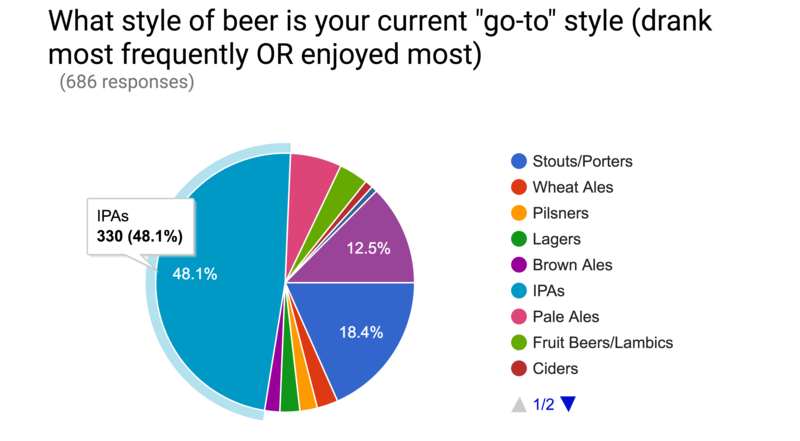 Stouts and Porters (or the broad-but-simple thought of “dark” beers) coming in second is also not a surprise. Go to any brewery, and you’ll see that they have an IPA and a Darker offer to please just about anyone. If you’re like most craft beer drinkers, odds are that your taste preferences have changed over time. 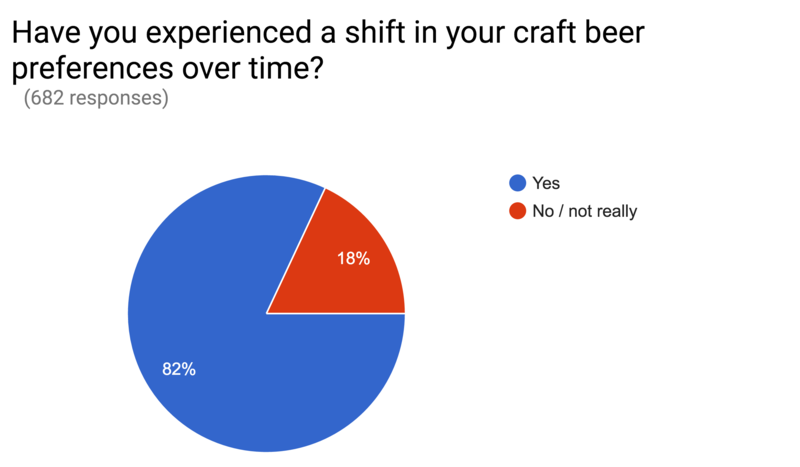 We asked drinkers to describe their shift over time to find if there were any overarching themes (lighter beers vs dark, low IBUs vs Bitter Bombs, etc), but the results were so varied, so all over the board, we could not really quantify one overwhelming trend in craft beer drinkers. 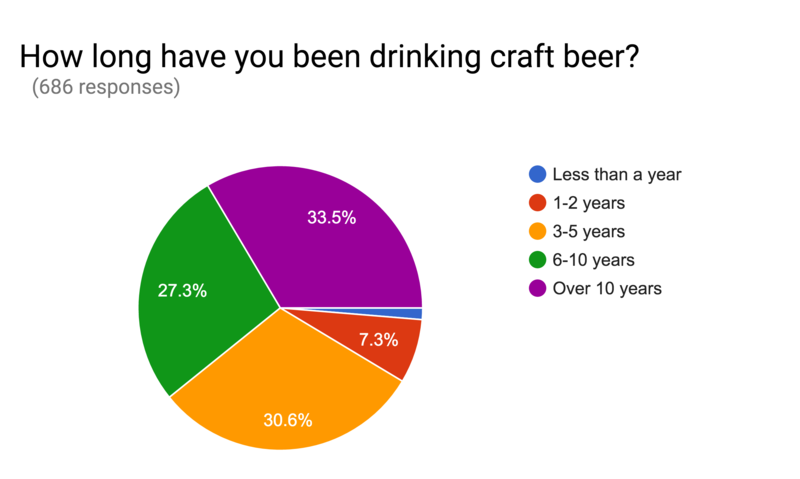 What we found is that overwhelmingly, tastes of craft beer drinkers do indeed change over time (we aren’t too surprised by that). While the implications of that may not be groundbreaking, what it does show is that people are experimenting with flavors and going outside of their comfort zones. 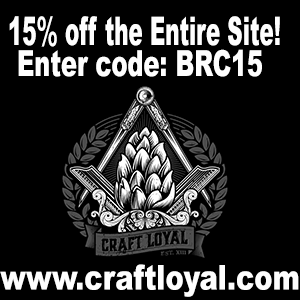 With such a creative community that is craft beer; the options for exploration and growth are unending. 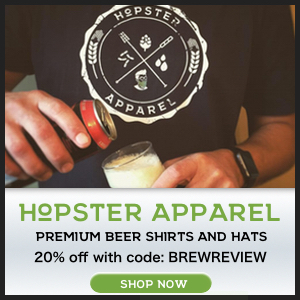 Whether you have transitioned from pilsners to porters, or IPAs to sours, we encourage you to keep trying new styles and new breweries; the world is a vast ocean of craft beers to experiment with; and remember; just because you don’t like a particular style today, does not mean you won’t like it in the future! If you took the time to take my survey, I’d like to sincerely thank you. 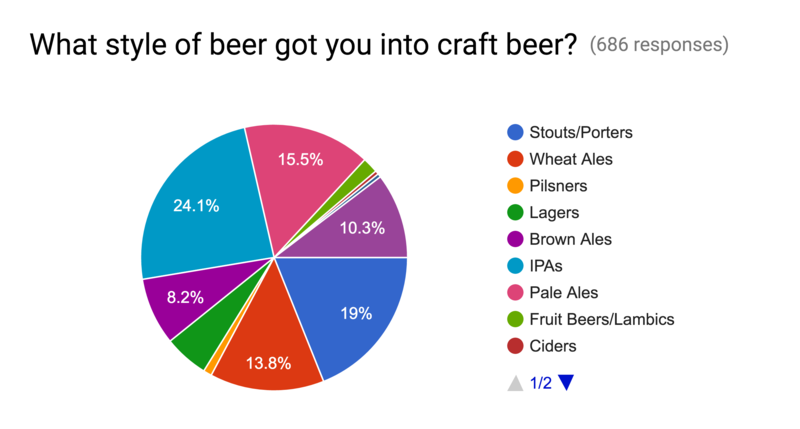 While the results were not life-altering or mind-shattering, it was truly interesting to see flavor preferences and take a brief look into your history as a craft beer drinker. 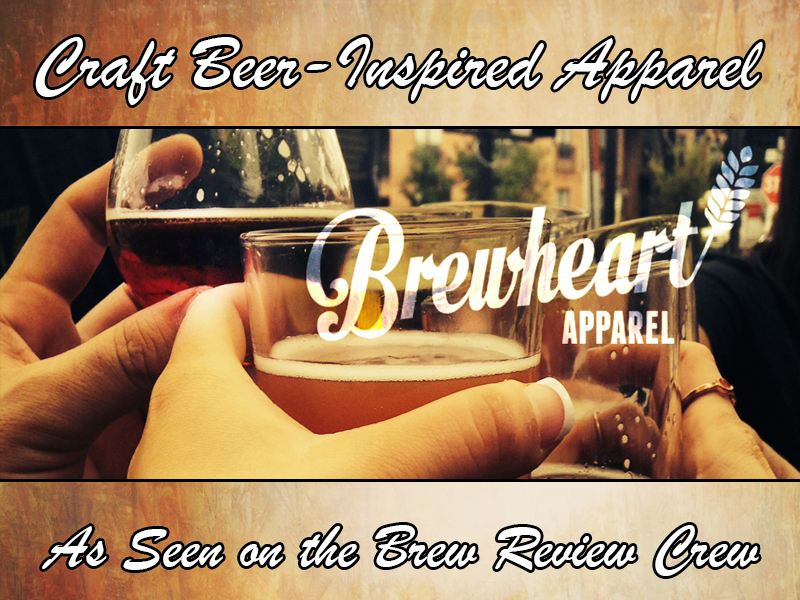 If you did not get a chance to take the survey, but would like to share your thoughts or your own beer drinking history, please leave your comments below!